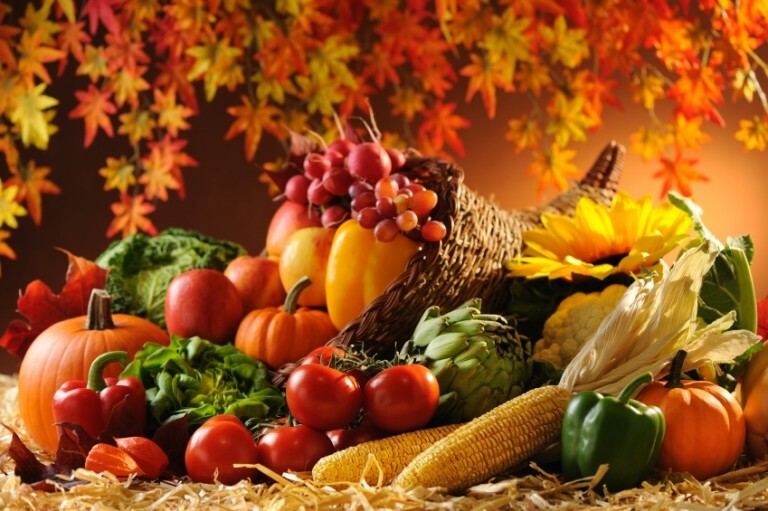 Autumn is a time of abundance when it comes to fresh produce. I love the flavours of it: apples, lemons, bananas, figs, grapes, kiwifruit, asparagus, beetroot, broccoli, carrots, cauliflower, mushrooms, eggplant, tomatoes, pumpkins and zucchini. Because there is such a copious amount of fresh fruits and vegetables available, it’s easy to cook and create a variety of different meals that are full of flavour. Foods taste better when they are in season, and they also have the most nutritional benefit at this time. Knowing what fruits and vegetables can be sourced locally is a great way to keep track of this, so eating watermelon during the winter months is not an ideal option (for example). If you’re not sure what is in season, spend a weekend day walking through your local farmer’s market to see what produce is available. It is very important to listen to what our body is telling us, and often the body craves foods that balance out the elements of the season. For example, in summer people crave cooling foods like fruit, raw vegetables and ice cream. Conversely, in winter our body craves hot and heat-producing foods like soups, stews and meat. With autumn comes rich, healthy, nutritious, comforting soups. Here is a recipe of one of my favourites. Cut onions and tomatoes in half lengthways and place on parchment-lined tray. Cut the top of the garlic head in order to expose the majority of the garlic whilst it remains in tact. Drizzle onions, tomatoes and garlic with olive oil, salt and pepper. Roast in oven for approximately 60 mins. Place in blender the roasted tomatoes (with their juices), onions, 8 roasted garlic cloves and all other ingredients. Blend until smooth and creamy. So what is the story behind fat? The type of fat you eat is more important than the amount of fat you eat. Whether a particular fat is healthy or unhealthy depends on how your body responds to the fat. ‘Bad’ fats turn off your fat-burning genes while ‘good’ fats increase your metabolism and actually help you burn fat. It is important to remember that fat is crucial for your cells to function optimally. When you understand the different types of fat and which foods contain which type of fat, you can use it to your advantage to increase your ability to burn fat and lose weight. Many people have turned to low-fat diets in order to lose weight, however the problem with this is that these diets are often rich in starchy or sugary carbohydrates, which in turn raises your insulin levels and promotes weight gain. Fats can be classified as ‘good’, ‘bad’ and ‘ugly’. Lets look at all three a little more closely. 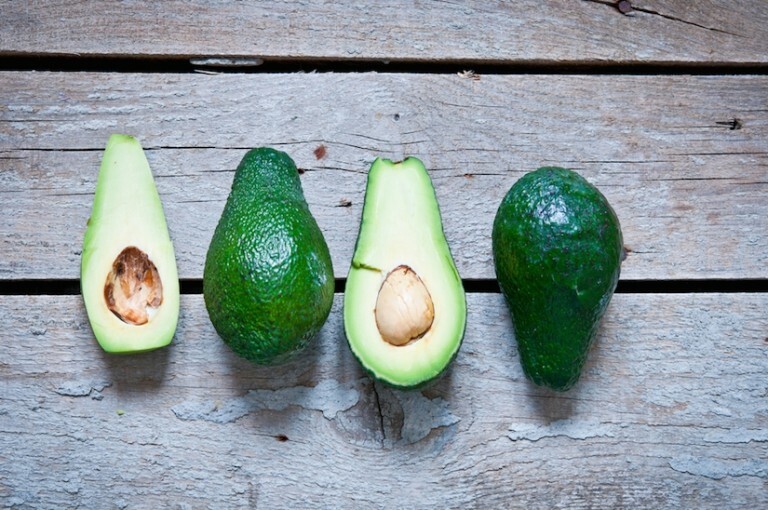 The king of the good fats is the Omega-3. Omega 3 has many beneficial qualities including reducing systemic inflammation, reducing oxidative stress, reducing triglycerides and LDL cholesterol levels and increasing immune function just to name a few. Omega 3 can be sourced from the following foods: Wild salmon, herring, anchovies, flaxseeds and flax oil, walnuts, pumpkin seeds and hemp seeds. These are considered to be one of the healthiest types of fat as it has none of the adverse effects associated with saturated fats, trans fat or omega 6 polyunsaturated vegetable oil. Many saturated fats are considered bad due to increasing the amount of LDL cholesterol (aka bad cholesterol), the stuff that forms plaque in our arteries, and subsequently decreasing the amount of HDL cholesterol (aka good cholesterol), the stuff that chips away the plaque forming in our arteries. These saturated fats are found in commercially raised beef, pork, lamb, poultry, and dairy. However, having some saturated fat, especially those containing Lauric Acid, is necessary as this is the preferred source of energy by heart cells. Sources of this fat can be found in the following foods: Coconut products, macadamia nut oil, palm fruit oil. These are man made fats that simply cannot be properly digested by your body. They interrupt the natural operation of your cells and have the capacity to affect your health in radically negative ways. They also block your metabolism, create weight gain and increase your risk of chronic disease. These fats should be avoided. Hydrogenated oils or Trans fats are the most dangerous. Trans fats are found in nearly all processed or commercially baked or packaged foods. Some examples of trans fat include: vegetable shortening, some margarines, crackers, candies, cookies, snack foods, fried foods and baked goods. 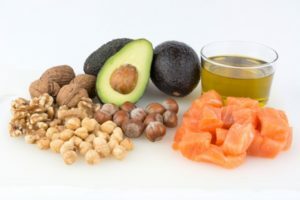 In summary, the recipe for weight loss with fat is to include 1-2 servings of ‘good’ fats with each meal, plus the occasional ‘bad’ fat, while avoiding the ‘ugly’ fats. This will result in an increase in your metabolism and improve your ability to burn fat. When you first start looking at leading a healthier lifestyle, you might think that it will involve lots of work to change your diet. However, choosing healthier foods is easier than you may think. By changing just a few eating habits you can make a big difference to your diet and your health. For example, swapping foods high in trans-saturated fats, salt and sugars to wholesome fruits and vegetables. Eat whole fruit instead of drinking fruit juice – juicing tends to remove a lot of the fibre and nutrients of the fruit. It can also have the potential for you to consume a much higher quantity of fruit. What’s wrong with that you say? Whilst fruit contains natural sugar, too much of it will be as detrimental as consuming refined sugar. So skip the glass, and go with a whole piece of fruit to reap the full nutritional benefits of this sweet, healthy snack. Pan-fry food instead of deep frying – most foods that at deep fried are done so in hydrogenated oils or trans-unsaturated fats which are toxic, can block your metabolism, and can increase your weight and risk of cardiac disease. When pan-frying food, use small amounts of mono-unsaturated fats (olive oil) and saturated fats (coconut oil) that increase your metabolism, which helps you to burn fat more quickly. Make your own dressings – Instead of buying processed, high sugar, bottled dressings, make your own using olive oil and balsamic vinegar or lemon juice. Sprinkle cinnamon instead of sugar – when you are looking to add that little something to your oatmeal, yoghurt or even pancakes, turn to cinnamon which is packed with flavour and helps stabilise your blood sugar levels. Swap white, refined carbohydrates for whole-grains – carbohydrates as we know them (white rice, pasta and bread) are stripped of all their nutrients and fibre and replaced with sugars. Instead, eat plenty of quinoa, freekah, brown rice noodles and wholegrain, sourdough bread. Use avocado instead of butter – Unlike butter, avocados are high in mono-unsaturated fats that will keep you healthy and reduce the risk of chronic diseases, and has the added bonus of tasting amazing. Chose lean meats instead of fatty ones – Meat contains a lot of saturated fat which when consumed in large quantities can impact your health through [examples]. By switching to lean meats, you can still satisfy your carnivorous side but minimise the impact on your insides. Make your own food rather than eating out – this is a fabulous way to control what is going into your food and thus into your bodies. Packing your lunch and taking it to work will stop you from running to the local takeaway shop or vending machine which fills your body with ‘nutrient deficient’ calories. If you’ve ever questioned whether or not the whole “clean eating” lifestyle actually makes a difference to your health, I would like to share one of my many success stories with you. I hope that the positive results she has seen, even at her age, will motivate you to start to make changes in your life. In 2009, Dorith was 58 years old. She had been an unsuccessful yo-yo dieter (trying many different diets), battling with her weight for at least 10 years. A typical food day for her was no different to most ‘normal’ people: she started her day with a bowl of a store-bought cereal with skim milk and a coffee with skim milk and sweetener. Lunches were quickly thrown together and usually consisted of a tub of diet yoghurt and some rice cakes with a small tin of tuna. Dorith’s nemesis was her sweet tooth and by the time she got home from work, she would generally be too tired to prepare herself a meal so she would just snack on the bits and pieces that she could find in her kitchen and this generally included biscuits, chocolate and Pepsi Max. Her world took a dramatic change when she was diagnosed with Non-Hodgkin’s Lymphoma. From that point on, managing her weight and health became an even more difficult uphill battle for her. Following her first round of treatment, she hit a further speed bump when she developed lymphedema in her legs, which made it difficult for her to walk and maintain even a low level of exercise. Her weight continued to creep up and her overall health began to deteriorate rapidly, experiencing ongoing pain in her back, hip and legs requiring regular trips to the doctor for treatment of cellulitis and other infections. She was extremely lethargic and had limited energy. Over the next 6 years, her cancer returned twice and she currently remains on long-term chemotherapy treatment to try to beat this disease. In November 2015, Dorith reached her ‘tipping point’. She knew that something had to be done to change her diet and lifestyle if her health was going to improve. Knowing her health and diet history, I realised that her body was on fire and was working against her. To be able to transform this, she had to remove from her diet many of her ‘staple foods’ including processed food, wheat, gluten, sugar, soy, dairy, caffeine and alcohol. Instead, these were replaced with an abundance of fresh fruit and vegetables, lean protein (eg. fish and chicken), and whole foods such as brown rice (not white), quinoa, nuts and seeds. By consuming these foods, she was beginning to allow her body to repair itself, eliminating cravings and increasing her energy. Dorith found this extremely overwhelming at first, being concerned that not only would she have limited food options, but also the amount of preparation that would be required. However, we worked together to come up with a meal plan with a wide variety of food options. I also showed her some great cooking hacks like preparing her fruit and vegetables as soon as she gets them home before putting them away, and also learning to ‘cook once and eat twice (or even three times)’. To be able to sustain and maintain this lifestyle change, results needed to be seen, so it was fabulous for her to experience an immediate 2kg weight loss in the first few days. This gave her the motivation to keep going. Four months on, Dorith has now lost an incredible 21kg!!!! A further loss of 4kg will see her at her goal weight, a weight she has not been at for over 15 years! But it was more than just about weight loss. Dorith’s attitude in general started to improve, and she found herself being more positive towards life overall. This reinforces the strong relationship between mood and food, and how a diet filled with processed carbs and refined sugars has as much of an effect on our mental health as our physical health. Whereas a “clean diet” filled with fresh produce, lean protein and whole grains leaves you feel refreshed and energised. Dorith was introduced to foods that she had never heard of before and is now enjoying cooking and eating, she is always pre-prepared with her meals, her cravings for sweet foods have diminished and her love for Pepsi Max no longer exists. Social Media is awash with so called “experts” who give advice on ‘toxic foods’, ‘eating right’, and ‘living right’, and there are just as many other “experts” who then counter-argue against some of these people. It can become extremely confusing for people to decipher what is the right decision to make and what the ‘right’ approach is to leading a healthier lifestyle. What I have learned so far is that there is no singular “right” diet. No two people are alike, especially when we are looking at people’s metabolism. We need to consider how they respond to stressful situations, and their time and availability to exercise and take time out for themselves. Therefore, people need to trial different eating methods to work out how their body responds and reacts to be able to find the right approach for them. When it comes to fat loss, it’s all about getting our body to work optimally to burn more energy, rev up our metabolism and making sure you eat the correct nutrient dense foods to support this. However, achieving your weight-loss goal is not just about food, it’s about lifestyle too. You need a lifestyle that will help you become leaner, fitter and healthier. Although we would like it to be as easy as snapping our fingers to lose excess weight and keep it off, losing weight and keeping healthy takes a lot of dedication. So what is the recipe for a leaner, fitter and healthier life? Eating the right foods, getting regular exercise and making the right lifestyle choices. Eating cleanly to me represents eating simple, fresh food that I have prepared myself. The food keeps me energised and nourished all day, makes my skin glow, and rejuvenates my cells keeping me looking young. Combine dressing ingredients in small jar and mix well. Set aside. Place salmon fillets on separate pieces of non-stick baking paper and season with salt & pepper. Place a few sprigs of dill on fillet and top with two to three slices of lemon. Form parcel from baking paper by twisting the ends together. Place on baking tray and bake for 20-30 minutes depending on how you like your salmon cooked. Whilst fish is cooking fill a large saucepan with about 2.5cm of water and put on the stove. Place a steamer basket or colander in the pot and bring water to a slow simmer. Whilst waiting for the water, prepare vegetables. Once water is simmering place the broccoli in the steamer and cover for 2 minutes. Then add the green beans and asparagus and cover for a further 3 minutes (cooking time may vary according to how you like your vegetables cooked). Once vegetables are ready remove into a colander and run under cold water briefly to stop the cooking process. Place a fillet of salmon on 2 separate plates, divide the vegetables and enjoy. This talk really gets to the heart of what we at Vital Assurance believe in. Being healthy is more that just having a 'healthy diet', it's about a whole lifestyle of health. Small gradual changes to your everyday habits can have a huge impact on your well-being. When is a Carb not a Carb? The topic of carbohydrates is very complex; there are so many myths out there about whether or not they should be consumed, that it’s no wonder everyone is confused and unsure of whether they are good or bad for us. Carbohydrates are actually the single most important food in our diet for long-term good health. Carbohydrates, in their natural form, contain most of the essential nutrients and specialised chemicals that keep you healthy and increases our metabolism. The problem arises when the majority of the carbohydrates we eat today are refined and highly processed. Our bodies are unable to metabolise these carbohydrates efficiently, and so they have a detrimental effect on our health. They slow down our metabolism and contributing to major diseases such as diabetes, heart disease, dementia and cancer. Carbohydrates make up the largest food group we consume and there are many different types of carbohydrates. Each type interacts with our genes differently therefore they can have significantly different effects on our metabolism. We all know that breads, pasta, rice, cookies, cakes and cereals are carbohydrates, but did you know that fruits and vegetables are too? Or that whole grains, beans, nuts and seeds are classified as carbohydrates? These carbohydrates are a MUST to eat if we want to remain healthy as they contain the key ingredient PHYTONUTRIENTS. Phytonutrients are specifically found in plant food, and the only way they can be consumed is through eating real, whole, unprocessed plant foods. The phytonutrients help switch on genes that help us burn fat and age less quickly. They are a powerful source of anti-oxidants and help to reduce inflammation in our bodies. When carbohydrates are processed, many of their important phytonutrients are stripped away leaving you to consume food that is empty of vitamins and minerals. In other words, food that is just empty calories and of no health benefit. Fruits and vegetables can be grouped into five different colour categories: red, purple/blue, orange, green, and white/brown. Each colour carries it’s own set of unique disease fighting chemicals. For example, the antioxidants in red fruits and vegetables can help reduce the risk of cancer and keep our heart healthy whereas the antioxidants in purple/blue fruits and vegetables help protect cells from damage and can also help reduce the risk of cancer, stroke and heart disease. This is why when we prepare a meal we should endeavour to ‘eat a rainbow’ as not only does it look great but it also provides our body with the best sources of nutrients to maintain long-term health. Now lets look at the relationship between carbohydrates and insulin. The role of the insulin is to remove the excess glucose so that our blood returns to its balanced level. When we consume carbohydrates that are starchy (eg; potato and corn) or sweet (eg; cake, biscuits, pastries, lollies), they are broken down into glucose (sugar) in your body. The glucose ends up in your blood stream, signalling your body that blood sugar levels have been elevated and for your pancreas to secrete insulin into the blood. The insulin takes the glucose to our muscles and liver where it is stored as glycogen. However when these glycogen stores are full, the excess sugar is transported by the insulin into fat cells and unfortunately fat cells have an infinite capacity to expand therefore causing you to gain more and more weight, slowing down your metabolism and promoting chronic conditions. This is most apparent when we consume foods (eg. Coke, pastas, breads) that get broken down to glucose quickly signalling a surge of insulin release and potentially no place to store this glucose except for in fat cells. Not to fear though, certain types of carbohydrates burn more slowly and take longer to turn into sugar in your bloodstream. This keeps your insulin levels at bay and reduces the amount of excess glucose circulating in your blood stream and needing to be stored. These types of carbohydrates come from whole, unprocessed plant foods, specifically those that contain fibre as fibre has the ability to slow down the absorption of sugar into the bloodstream. Fibre acts like a sponge and is able to soak up fat and sugar in your gut and may also prevent some of its absorption. This in turn sends positive messages and switches on the genes that burn fat, increase metabolism and reduce the effects of ageing. Avoid (or at least limit) flour or flour products, refined grains, sugar, processed foods, junk foods and large starchy potatoes. It has taken me a long time to be able to read and understand my body's signals when it comes to food. Often we mistake our need for food with a desire for food. The following article by Dr. Libby Weaver breaks down the differences, and provides some useful tips on how to control our appetite. Ever wonder why sometimes we eat less, exercise more and don’t lose weight? Food was designed to give us energy. We consume calories so that we will have something to burn, which in turn gives us the fuel to keep going. The calories we ingest from fibre, carbohydrates, protein, fats and nutrients are metabolised at different rates and provide us with different amounts of energy. 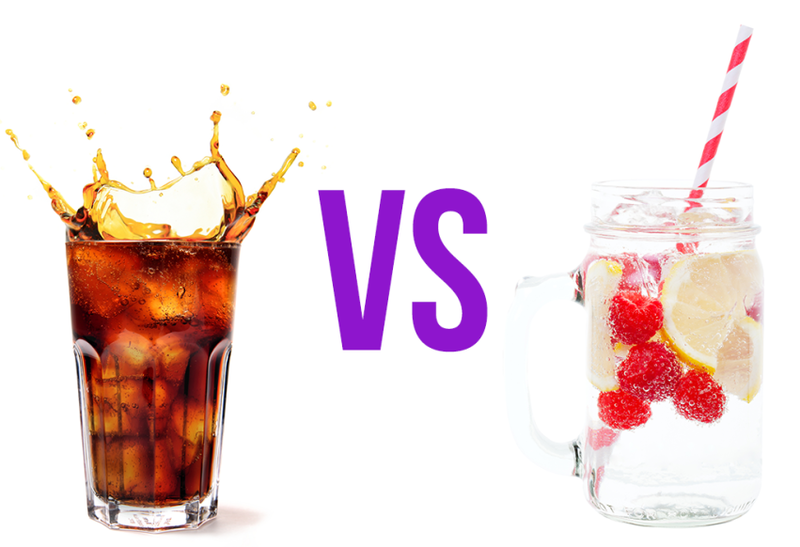 For example, if you have a soft drink the sugar will enter your bloodstream quickly and the calories you are not using at that time will be stored as fat. However, if the sugar you consume enters the bloodstream more slowly, your body has a greater chance to make use of the calories, meaning more will be burned and less will be stored. Produce molecules that increase or decrease your appetite. We are genetically designed to accumulate fat as a result of our primal ancestry. We always needed to make sure that we ate enough to gain weight when food was plentiful, as we didn’t know when we would be able to source food again. This way of eating has carried over into today’s society, which has become more hazardous to both our health and our waistlines. One of the most important principles of weight loss is never to starve yourself. The question is not whether you are eating enough calories, it is whether you are eating enough of the right calories. Our bodies have a minimum amount of calories it requires to be able to function. The reason why so many diets backfire is because we restrict the amount of calories we consume to drop below that minimal requirement. If you eat less than the required amount, which is in the case of most diets, our body perceives itself as being in danger (starvation mode) and sets off an alarm in your body which slows down your metabolism and signalling you to eat more. Our bodies don’t like it very much when we don’t give it the calories that it needs, so as a result we end up eating more, and consume many additional calories. So while we think that we might be in control of our minds and our willpower, the truth is we have very little control over the unconscious choices we make when we are surrounded by food. Therefore, the key to a healthy metabolism is learning what those responses are, how they are triggered and how we can stop them. To recap, when it comes to weight management, it’s not about limiting our calories, it’s about being calorie aware and making sure that the calories we consume provide our body with the right nutritional needs. It has been an extremely busy time of the year, with lots of Christmas parties, end of year break ups and of course New Year’s celebrations. What does this mean? Lots of wining, dining and temptation! Although we do our utmost to stay focused and on track with our food choices, we undoubtedly at times veer off track a little. All that food and drink increases the toxins that we ingest and puts additional stress on our liver and detoxification system. But not all is lost, by returning to our roots of clean eating principles we can assist our liver in removing all the additional toxins so that we don’t experience any long term disruptions to our metabolism. Drinking juices and smoothies are also a fabulous way to increase the amount of nutrients to support your detoxification system whilst giving your digestive system a break. Place pineapple, kale and spinach through a juicer and then add water at the end. Alternatively place all ingredients in a high speed blender and blend until smooth. You may want to strain the juicer prior to drinking to remove excess pulp. Split the greens in between two bowls. Prepare broccoli, cauliflower, beetroot and cucumbers and spread between the two bowls. Sprinkle the bowls with pumpkin seeds, lentils and herbs. Add diced avocado and dressing just before serving. When you make these recipes, Instagram a photo and be sure to let me know how you go and tag #vitalassurance. Let me know what kind of salad or juice ideas and inspirations you are looking for in your comment.